The triumphant return of Lloyd! Comic book heroes NEVER stay dead. 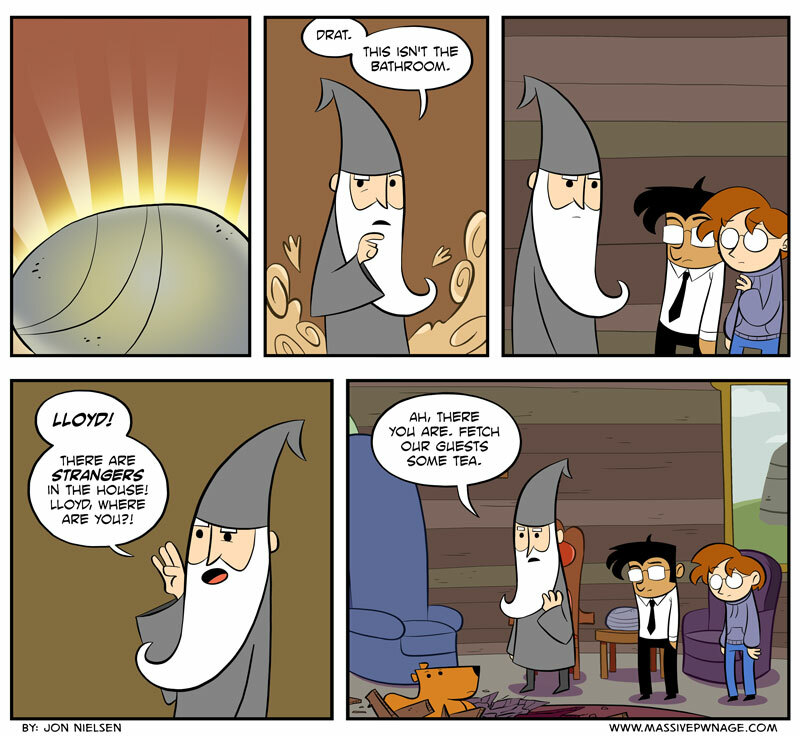 SPOILER: The wizard never gets to go to the bathroom. This entry was posted on Wednesday, January 30th, 2013 at 12:00 am and is filed under Comics. You can follow any responses to this entry through the RSS 2.0 feed. Both comments and pings are currently closed. And I was wondering what was the purpose of that rock. Lloyd! I was so worried! !